Mom Amanda Caldwell captured the touching moment. NEW YORK -- A baby boy in upstate New York is melting hearts after a video captured him seeing his father for the first time with glasses after a two-month deployment. Nine-month-old Reagan had just gotten his new glasses right after his father, Brandon Caldwell, was deployed to Antarctica. Captain Caldwell has served in the Air Force for a decade. Reagan's mother, Amanda, took the video of the happy reunion and was delighted that she got this emotional moment on camera. In fact, she said that Brandon was worried that Reagan might not remember him. That was certainly not the case! "This was the hardest deployment yet by far and you can see how hard it was for Brandon to be away from Reagan by the emotion he showed when he finally had him in his arms again," Amanda said. "Reagan did not skip a beat and is loving having daddy back home." The Caldwell family has not had an easy first year with baby Reagan. 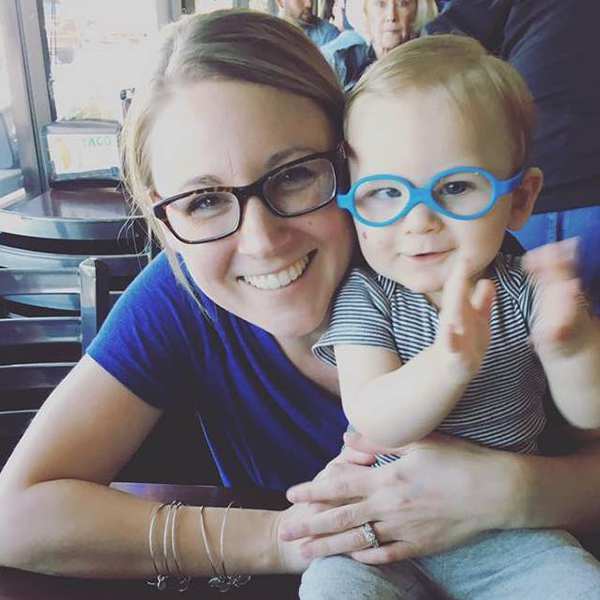 The reason he has glasses is because Group B Strep (GBS) developed sometime after delivery and that led to a host of other complications, including meningitis and sepsis, resulting in the newborn ending up in the intensive care unit. Amanda said that after she was tested for GBS (as all expectant mothers are tested between 35-37 weeks) and learned she had it, she was only told that she would be given antibiotics during delivery. One out of every four women test positive for GBS according to the American Pregnancy Association. "I was never told that this could make my baby sick. I was never told this could make my baby sick after leaving the hospital. I was not told anything about warning signs or symptoms of meningitis and sepsis," Amanda said. She believes that a lack of information on the signs and symptoms is very common and wants other mothers to be aware. 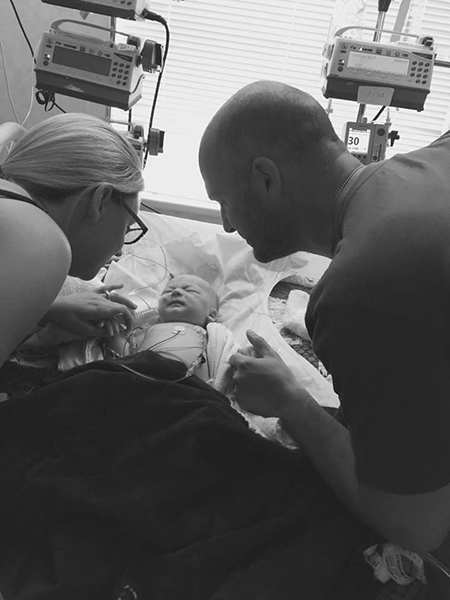 Reagan showed symptoms 20 days after his delivery last June. "I want moms to ask questions, do research on it, and if you think there's something going on with your baby take them into the pediatrician or the emergency room immediately...Do not wait! Do not let anybody make you feel like you're paranoid," Amanda said. "You are the mother of that baby and you know better than anybody else!" 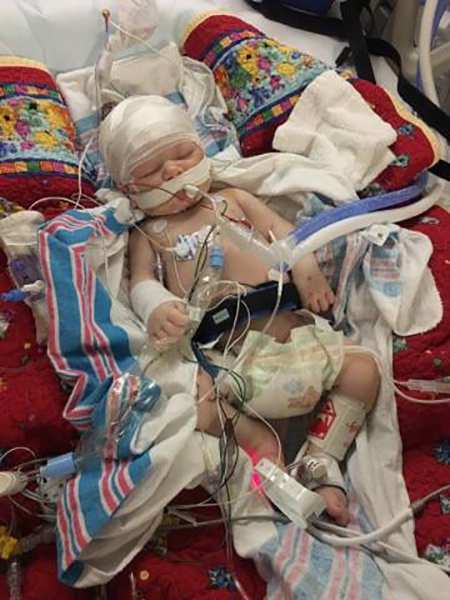 Reagan suffered several seizures as a result of the meningitis and sepsis. Doctors told them that their son may have cerebral palsy or could be mentally handicapped based on MRI results. 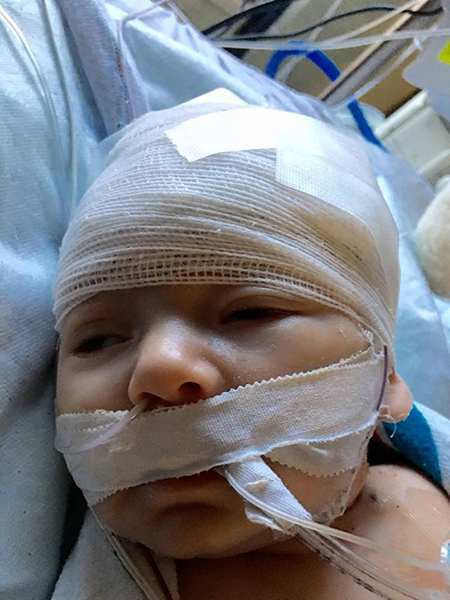 "The doctor pointed to the pictures I had posted on the wall and said, 'The little boy in those pictures is not the same little boy you're bringing home,'" Amanda said. "This was devastating and I remember crying uncontrollably." GBS is not something that is always contracted at labor, but after including from contact with other people. That's why washing your hands when handling a newborn is so important. Now, Reagan is making strides but requires physical, occupational, and speech therapy, and takes classes for the visually impaired and special education at home. Amanda has left her job as a teacher to take care of Reagan full time and take him to all of his many appointments which include visits to a hospital more than three hours away every six weeks. She's now sharing her family's journey and their medical challenges and triumphs here: https://www.facebook.com/GBSStrep-B-Streptococcus-Reagans-Journey-1314873618524857/"